hide.me VPN is an enhanced VPN App for all Devices and Operating systems with Free VPN. It's as easy as 123, No Registration, No Login required. Just download and enjoy the fastest VPN in the world. 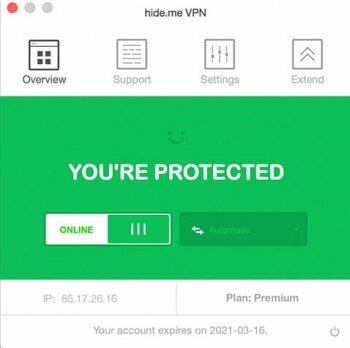 hide.me VPN App offers Wi-Fi security, online privacy, as well as access to all blocked content & apps.